One thing that’s come up as of late is us whisky bloggers feeling the need to tell you where we stand, ethically speaking, with respect to tasting samples we receive, trips offered to us, etc… Part of me feels like we’re all just telling each other where we stand but, that’s OK. Issues of ethics do need to be raised. How can you to trust me (or any whisky journalist or blogger) knowing that we sometimes post reviews based on free samples given to us? This is a fair point; one that needs to be addressed. A while back I told you about my relationship with Master of Malt. I wanted to be upfront about this relationship as my reviews are, and will remain to be, completely independent and not influenced in **any way** be it by free samples or payment [from Master of Malt in the form of commission if you chose to purchase through them to claim the “Drinks by the Dram” free whisky sample]. I went on further, stating: If I don’t like a whisky, I’m going to tell you. If I like a whisky I’ll tell you. My nose, my tongue, my reviews. It’s this simple. – This statement still stands. A) Yes, I do receive samples for review (both by distilleries and sample swapping with other bloggers) – in case you haven’t been keeping track of the prices I’ve been listing, this stuff is expensive! 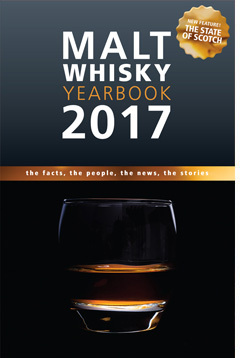 I’ve got hundreds of whiskies reviewed (posted). I can’t afford all this fluid on my paycheck! B) Though I think I’ve been doing an OK job letting you know when I am reviewing from a sample, moving forward, I will make sure to clearly mark my reviews with some sort of a statement letting you know where I got the sample from. Cool? C) I have yet to be offered a trip or accommodations by any distillery or firm. Would I pass up the offer? Tough to say. I’ll cross that bridge if it’s ever presented to me. As I think about the subject of trip sponsorship, I am reminded of Mark Gillespie’s (of WhiskyCast fame) trips to Feis Ile and, more recently, WhiskyLive Paris, Ballantine’s lab and Midleton. I really like his approach to the subject. Let’s clarify…I don’t think I quite said it that way…the trip [Feis Ile 2010] would not have been possible without the financial support of the distilleries, and that’s generally the way it is when I travel outside the US. In this case, each of the 9 distilleries paid an equal share of the costs to travel and produce the series. My policy is that if I receive financial support to cover the costs of producing an episode, I will always disclose it on the show. That’s what I did with this week’s episode from the Ballantine’s lab and the Midleton visit a couple of weeks ago. In addition, La Maison du Whisky and Whisky Magazine France invited me to Whisky Live in Paris last week, and covered my airfare and hotel bill…and I acknowledged that during each episode. In a perfect world, I’d cover all of my own expenses, but that’s just not feasible…and this is the most transparent option available. Mark, thanks for talking with me and for your great response! I can personally identify with a statement such as this but again, this is not a bridge offered up to me just yet so I can not cross it even if I wanted to.